I know how much time it takes to decide on which business is best and suitable to your personality and when it comes to decide on an offline business there is much more discussions and reviews to be done and than comes the family to give final decision on what type of business you should run. However, its different when you are going to start an online business. Because you have to spend nothing for starting these online businesses which I am listing here and all of these small home businesses can be started today. 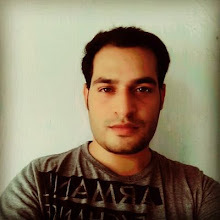 I was also in struggle to start my own business and than I found internet of things and discovered that I can create free blogs and start posting articles. However there is much longer story behind my success history and I don't want to bore you with it. Blogging is one of the easiest and most interesting ways to make money online and make your own small business at home, even there are many big companies which are originated from small blogs and now competing with other big companies in their industries. You can take example of Mashable.com and TechCrunch.com. Their owners are getting paid every single hour and they are not working that much as CEOs of offline companies have to work. All they have to make sure is their editors are working fine and they are having their blogs updated with latest content. There is another example of WikiHow.com which is a Wikipedia like website but monetized with Google Adsense ads and earning very well while their content is auto updated with many staff editors and people who loves to have a link or online reputation and work for free. These are two big choices for CMS and Blogging Platform which are widely used by professional bloggers and I also use these two services to create and manage my blogs. If you are a newbie and don't know much about blogging than I recommend with experience that you should start a free blog on Google Blogger blogging service. Which is totally free. All you have to create a free Gmail account and than signup at Blogger.com than choose a name for your blog and you are ready to go. While WordPress can be your buddy if you are thinking to start for free and than pay for more advanced services like custom TLD and more themes and plugins so that you can make money online by having your own small home business. If you really looking for online jobs so that you can work from home and have a home business spending no money than here's another way of doing it. You can easily make money online with no money as there are some companies paying you money just for answering some small questions about what you do or what you think about something. We call them paid survey sites and they are open to everyone in whole world. Also there are more micro tasks and jobs we can get hired for, but as we discussed that we are going to make you earn money online without spending a penny - we are going to tell you the real ways to make money online. 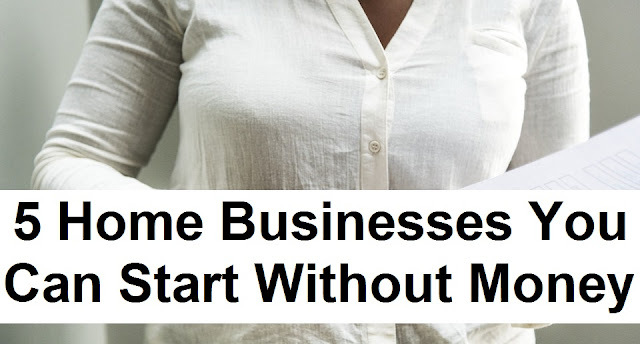 You can read our recent blog post about Micro Jobs to know which companies are paying you cash for complete small tasks on daily basis and you can even choose your working hours so that you can start a home business without paying a dollar. To pocket a dollar on daily basis we recommend that you should apply to all that sites listed in our blog posts and easily make money online. Its a combination of above two things mentioned Blogging and Micro Tasking. You can combine them and be a freelancer. There are many other jobs you can do as a freelancer and work from home than slowly make your home business on the basis of freelancing. For this you can visit and read out blog post about Online Jobs and find what type of online job is suitable with your personality so you can do it easily and pocket your dollars everyday. There are millionaires in this industry, so there's a chance for you to be the next big name and become an author of a best selling book. For this purpose Amazon.com can help you to cut your struggle and they are ready to format your book into eBook than they are ready to sell it for you and even they can give you facility to publish your book yourself and there is no need of having any publisher to hold the rights or guide you. All you have to do is check what type of eBooks are being sold on Amazon and what type of eBooks are on trends and what type of books are in best selling list. So that you can have a clue on what type of book you should write and how you can choose the best topic. After that start writing your book and you are ready to publish it when you have reached 50 to 60 pages. You can write it in simple MS-Word document format and Amazon kindle platform will convert it into a kindle book for you and you can also sell hard copy too. If you don't want to go out of your comfort zone and work from home with your own small home business than here's another great way to do it. Just make sure you can sell your old stuff for getting some money this business needs some capital but we are talking about that we have to start a home business with no money so that we first have to sell something. Just think for a while that what's the thing you are not using any more and its not needy to you, snap it and put an ad on your local classifieds website. You will have the option to publish a classified ad for free and there's one big classifieds website for every area of the world. So find your best local classifieds website as in U.S. craigslist is the best one so if you are in the city where craigslist is available than put your old stuff ad there and you will start receiving buying requests or calls. Sell it and after getting some money in your pocket you should buy something on the same website. Yes, you have to invest that money for buying another old thing and make sure you are buying a cheap priced but in demand stuff. So that you can than retouch the stuff and resale for a high price on the same website. We have seen that many people are doing these home businesses on daily basis and they are living a happy life. I am also doing blogging and some of other online business to ensure I can pay bills and eat for daily basis. 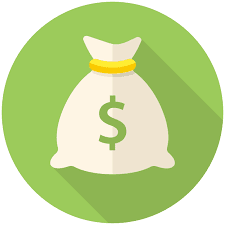 If you want more information about how to make money online with different ways than comment below or stay connected, we will update you with latest ways to earn money online.